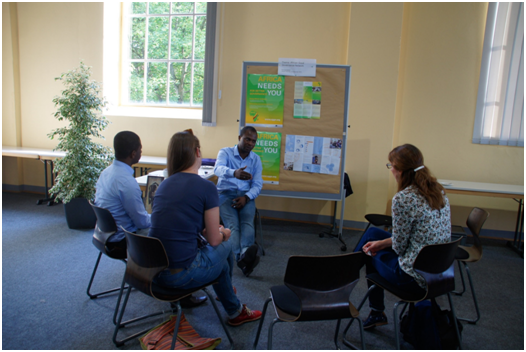 In framework of the celebration of 10th anniversary of non-profit management studies at the University of Applied Science Osnabrück, AGGN junior fellow Jacques Rene Nyembe organized a workshop on the relevance of ethic in Non-profit (NPO) organizations. Nyembe himself currently does his Master's at the University of Applied Science Osnabrück. The workshop aimed to discuss the mainstreaming of ethical principles in NGO/NPO/CSO and to give the participants a better understanding of ethic and his impact for NGO. 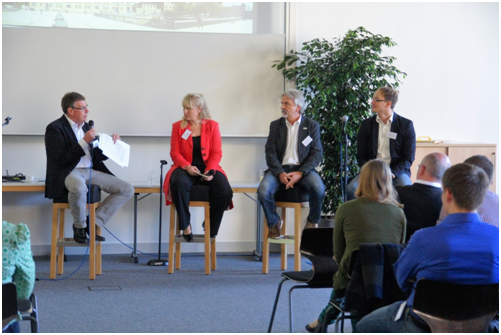 The program included an interactive podium discussion between Sebastian Joy (managing director of Vegetarierbund e. V.), Albert Recknagel (board member of “terre des homes” Germany) and Dr. Rolf Wortmann (head of the Master program). The discussion was moderated by Prof. Dr. Gesa Birnkraut (Professor at the University of applied science Osnabruck and director of the “Institut für Kulturkonzepte e.V.). A second component of the program informed about the work of AGGN and its contribution for improving good governance in African countries. 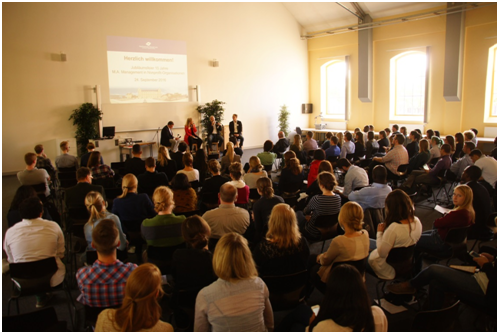 More than 120 participants attended the workshop.